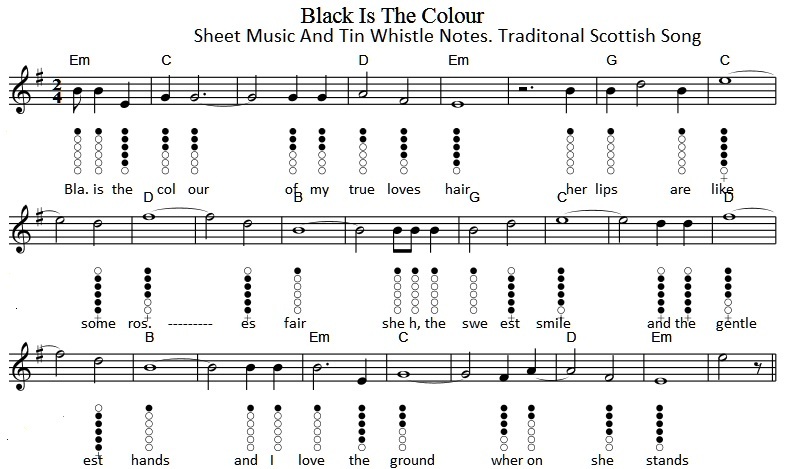 Black Is The Colour Sheet Music And Tin Whistle Notes .There are two pieces of music here, the first is the one that was recorded by Christy Moore / Orla Fallan. I tried playing it with the D whistle and it works fine. I even placed the words beside each note to help you along. The second version is an old American one.